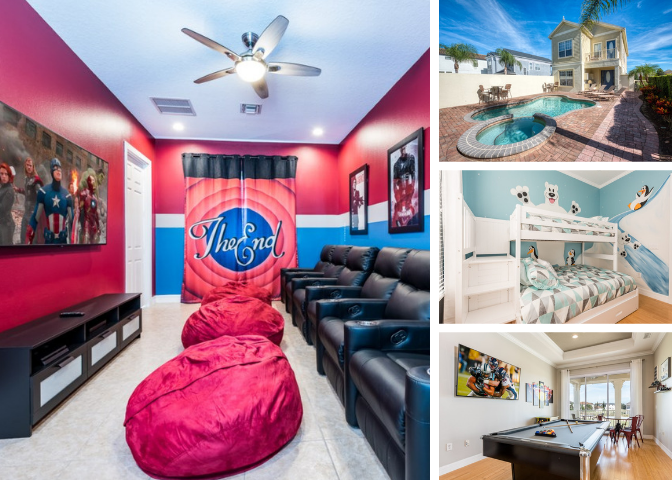 The Reunion Resort is one of the most luxurious resorts in Central Florida and sits just minutes from Walt Disney World and world class shopping and restaurants. The homes located within the resort are nothing short of breathtaking, from 2-bedroom condos in the grand hotel, to single family style 6-bedroom homes and stunning one of a kind custom 12-bedrooms mansions. 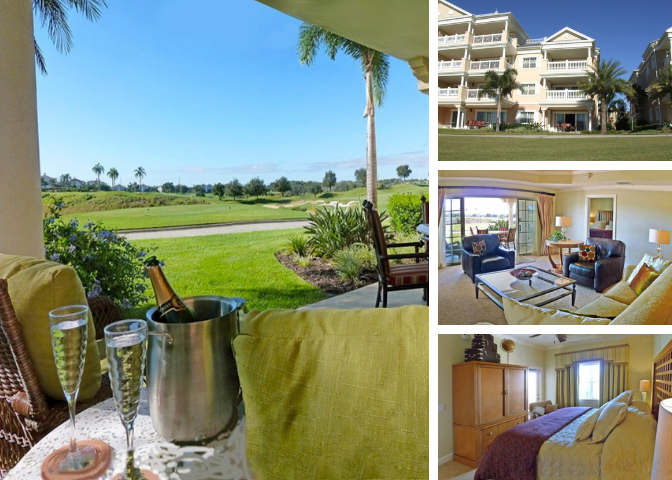 Enjoy a perfect dream vacation while staying on the Reunion Resort! Condos from 2-3 bedrooms and homes ranging from 3-13 bedrooms all with private swimming pools. Reunion is the only resort in the world that is home to 3 PGA Championship courses; the Palmer, Watson, and Nicklaus courses. 10 community swimming pools, including the Seven Eagles pool area and rooftop pool at the Grand Hotel. 5-acre water park with twisting waterslides. Lazy river, and pool side food and beverage services. 6 state of the art “Hydro-Grid” tennis courses. Bocce ball and Volleyball ball courts are also located on the resort. Children’s playgrounds are available at Centre Court Ridge and Villas South communities. There are 6 different restaurants located on the resort including; Eleven, Forte, Grand Lobby and Sushi Bar, and many others.